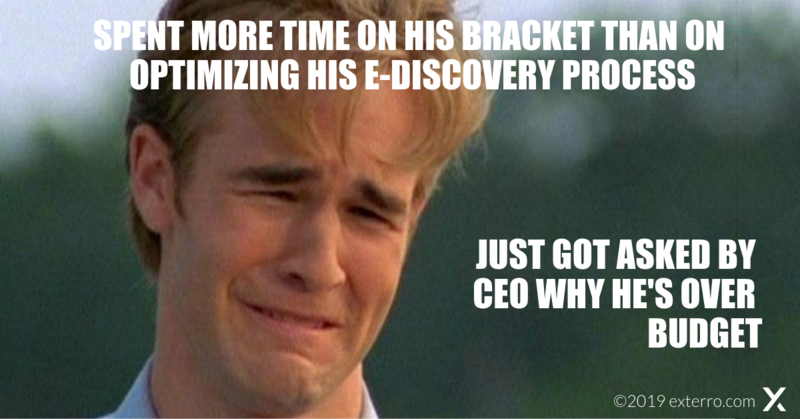 It's the middle of March, which of course means it's time for March Madness, the one time a year when even e-discovery professionals pay some attention to college basketball (although I guess with the increasing rate of recruiting scandals, maybe there are more e-discovery pros focused on basketball than I imagine). 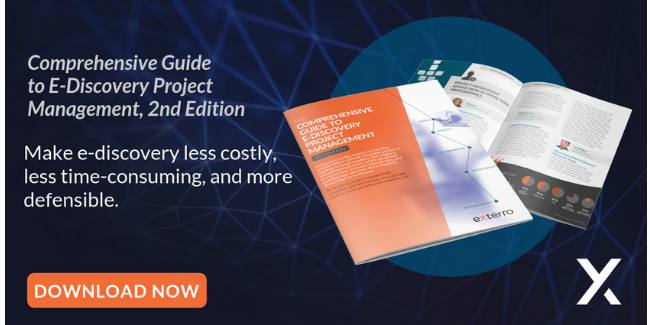 However, if you had optimized your e-discovery process--perhaps using the principles outlined in the 2nd edition of our Comprehensive Guide to E-Discovery Project Management--you wouldn't be in this sad fellow's shoes. 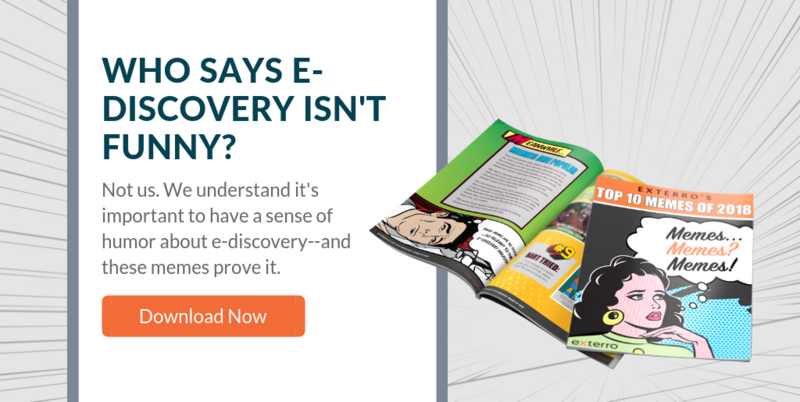 But of course if you're just interested in a chuckle, you can always visit our entire catalog of E-Discovery Memes and Cartoons or download our anthology of The Top 10 E-Discovery Memes of 2018 if you haven't gotten enough, and feel free to share the fun with friends and colleagues. Remember, E-Discovery is always better when you have a sense of humor. Cheers! !